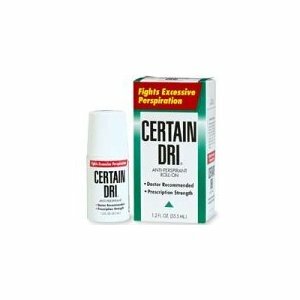 Certain Dri Antiperspirant for Excessive perspiration comes in a roll on form and is devised to reduce underarm wetness. Apparently laboratory studies prove that Aluminum Chloride is more effective and longer lasting than other ingredients found in antiperspirants, according to Certain Dri. I have researched Aluminum Chloride and found out that it is one of the best solutions for hyperhydrosis but it can be irritating to sensitive skin and make your under arms sore and itchy. This is one of the top recommended anti-perspirants you can get without a prescription but if it doesn't work for you you could try Drysol as it contains 8% more Aluminum Chloride, you would have to speak to your doctor about it as you can only get it when prescribed. Aluminum Chloride (12%) (Antiperspirant) Sodium Bicarbonate, Water. Apply sparingly to under arms before bedtime and let dry before you lower your arms. This could be a good tender in controlling hyperhydrosis as it has very good reviews with most of the users left with a dry feeling under their arms. Although, it isn't a miracle cure as it didn't work at all for a couple of patrons. Some do find it a bit of a hassle to apply it at bedtime but if it works its worth it. 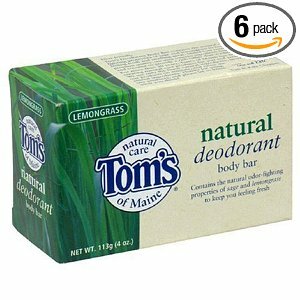 It is reasonably priced at $6.28 for a 1.2oz bottle, so is a least worth looking into if you suffer from excessive sweating. You are currently browsing the archives for the Antiperspirants category.